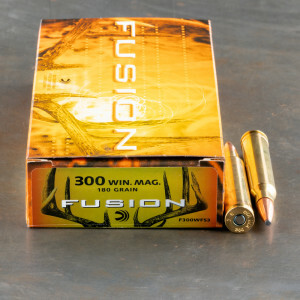 300 Win Mag is the big brother to most modern hunting cartridges and is surprisingly common. 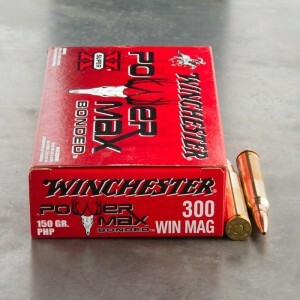 The 300 Winchester Magnum is the most popular of the 30 caliber hunting loads and is known for it’s excellent performance and power. 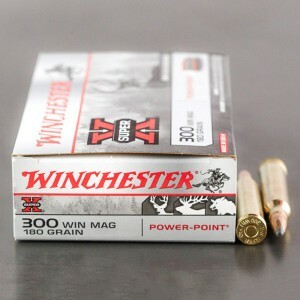 This round is one of the most popular cartridges in the world, actually, and is one of the top ten selling cartridges in the world. 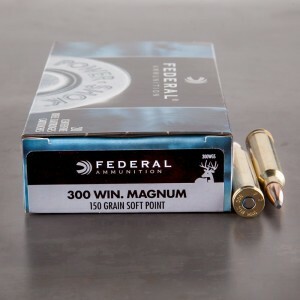 300 Win Mag chambered firearms are capable of firing a 180 grain cartridge at over 3,000 feet per second and rounds as heavy as 220 grain at 2,800 feet per second. 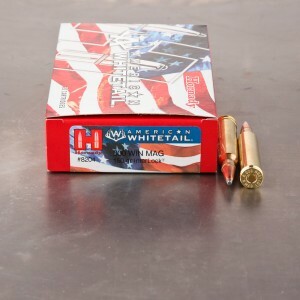 That makes this ammo is an excellent long range cartridge when hunting big game with the flexibility for lighter loads to be used for thin skinned medium game like deer. 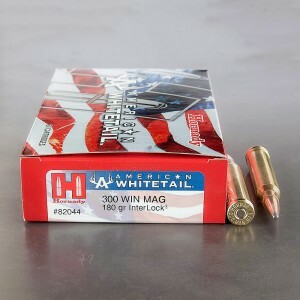 300 Win Mag is often a gateway to larger calibers and longer range hunting for most shooter’s breaking away from the standard 308 or 30-06 loads. 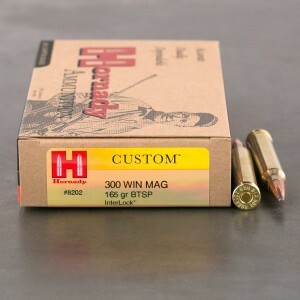 There are a number of popular rifles chambered in 300 Win Magnum. 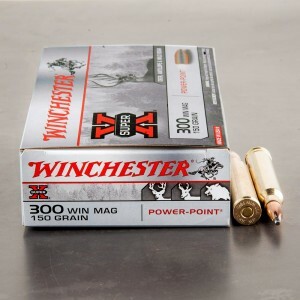 Including American favorites like the Remington 700 and famed Winchester Model 70. 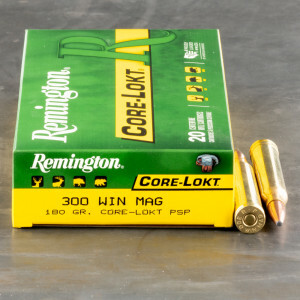 The round has a sharp recoil, and is quite loud, something to expect with anything with magnum in the title. 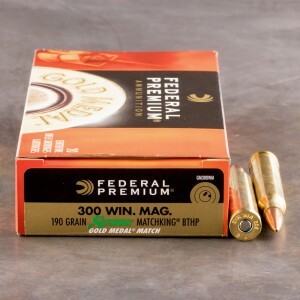 300 Win Mag ammunition is largely considered a premier performing cartridge with flexible loadings. 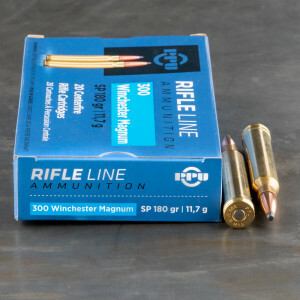 In fact the round is a handloader’s dream for its flexibility. 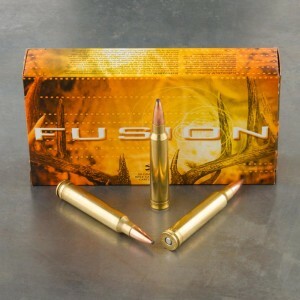 Used this for Whitetail Deer. Unbelievable, I love it. 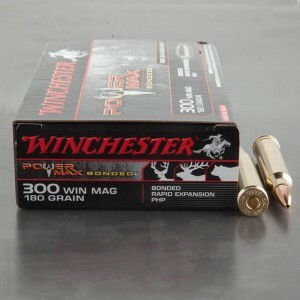 I've shot many deer with a few different calibers (.308, 30-06, 7mm WSM, and .300 Win Mag) and different brands of ammo for each. 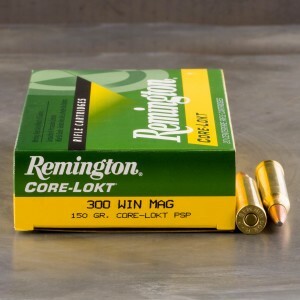 This is very accurate ammo from my gun. 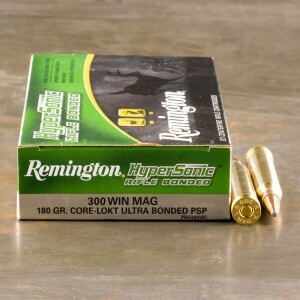 I shot 2 deer this year and both dropped in their tracks. They didn't run off a little ways leaving a blood trail, or not, to follow like every other deer I've shot. 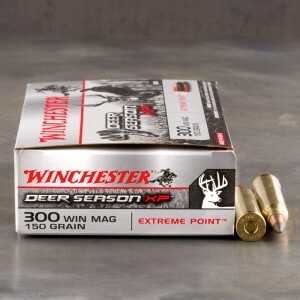 I feel confident using this for any game I'm hunting. 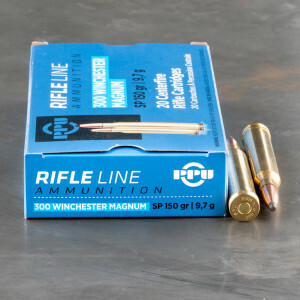 great ammo, did the trick in new zealand as it did in africa the year before. 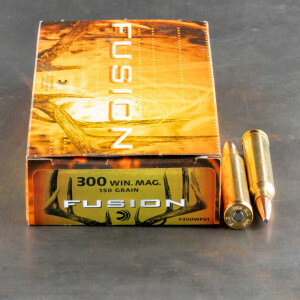 Absolutely the best ammunition I have ever used in my 300 win. mag. 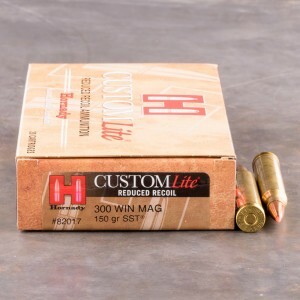 I switched from Hornady 150gr. and will not go back.